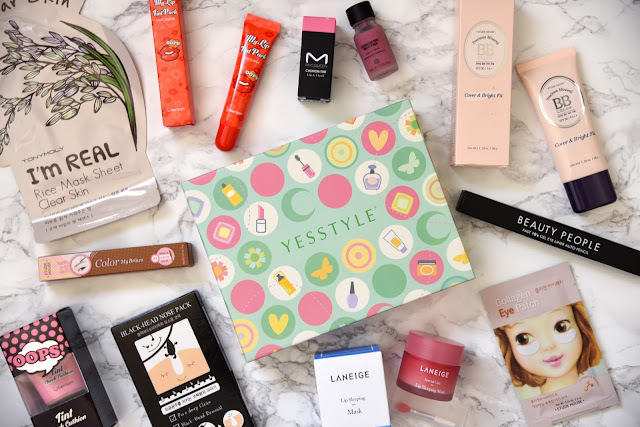 If there's something I love, it's a subscription box, you've probably all seen my long standing love affair with My Little Box! 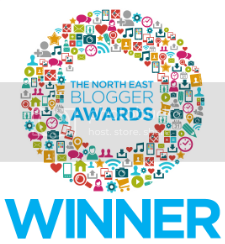 I've also always been really intrigued by Korean cosmetics, you see people rave about them but I've never had a chance to try any of them out (apart from the Tony Moly masks) despite there actually being a shop in Newcastle completely dedicated to Asian cosmetics (I thought it was a tad expensive although adorable!). So when I got the chance to try out this Yesstyle beauty box I was super excited! 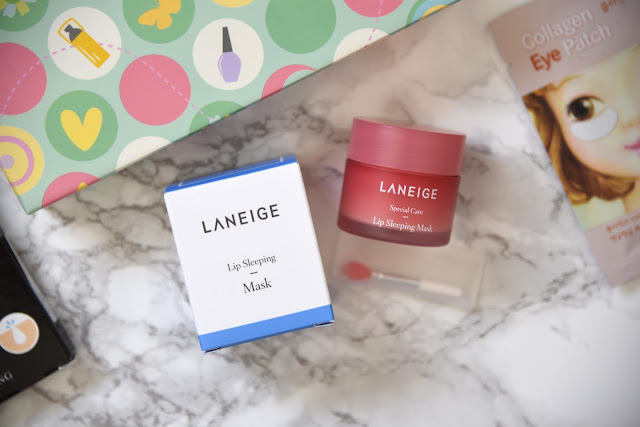 First up is the Laneige Lip Sleeping Mask, I absolutely love lip balm and anything I can apply at night, so this one was a winner! I love the cute little applicator too! It's got a gorgeous berry scent, it dissolves dead skin cells while you sleep, my lips really did feel soft in the morning! Next up is the Tosowoong Blackhead Nose Pack, I don't get blackheads but my boyfriend does on his nose so he test drove this one for me! It wasn't as painful to remove as some can be and there wasn't a dramatic change! Onto the Berrisom Oops Tint Cheek Cushion, I thought this one was really sweet, the cushion actually does a great job of applying the product and it blends quite well. The colour is also lovely and gives off a nice natural flush shade. Then is the Etude House Colour My Brows, I thought this would be great, I'm all for a brow tint, I have the shade light brown and I don't know which world this is light brown in! It was full on sparkly gold, so so weird! Next up is something I've actually tried in the past, check out my Tony Moly I'm Real Sheet Mask Haul and First Impressions! 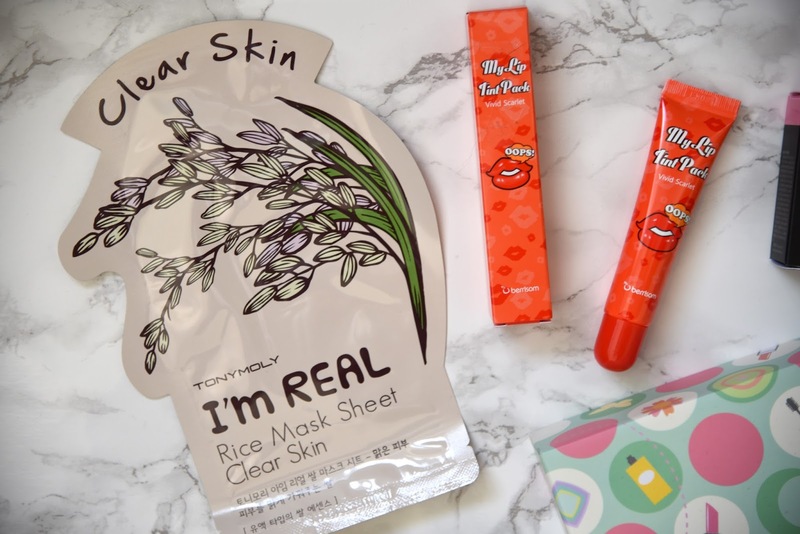 The Tony Moly I'm Real Masks are a bit of a cult product, and I really love these masks, I got the Rice for Clear Skin one in my box and I'm excited to give it a go, I'm sure it'll live up to the others. Onto the Berrisom My Lip Tint Pack, this is super cute, I got the Vivid Scarlet shade which does what it says on the tin! 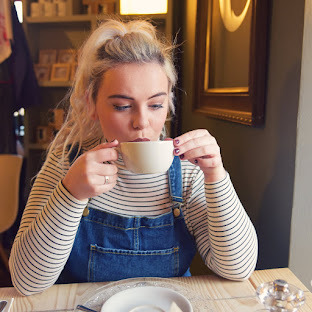 The applicator is surprisingly effective and the product comes out smooth without being patchy. Then is the Macqueen Lip & Cheek Tint, I'm always a bit dubious about products that you can use on your lips and cheeks, but this is actually really good! It comes with a a doe foot applicator and blends onto the lips and cheeks really well! The light pink shade is lovely and works well on both the face and lips! Next is the Etude House Precious Moment Cover & Bright Fix BB Cream, luckily the shade for me is pretty good, the coverage is very little although is does brighten, great for when you're just looking for that little something. Onto the Beauty People 10 Seconds Auto Pencil Eyeliner, this glides on so well without tugging, they have a range of shades, I got a nice brown shade that looks lovely when you don't want something as harsh as black. It dries quickly so doesn't transfer to the eyelids which is great. 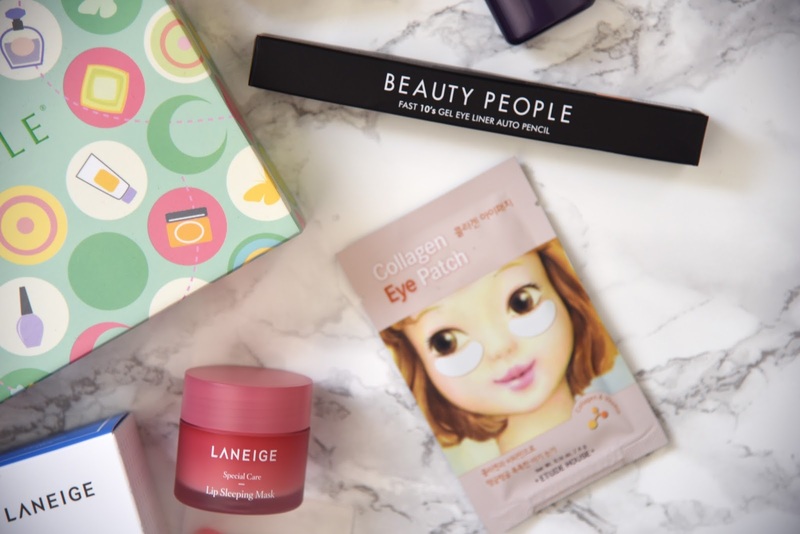 Finally is the Etude House Collagen Eye Patch, I haven't had a chance to try these out yet but they look super cute, be it a little creepy! 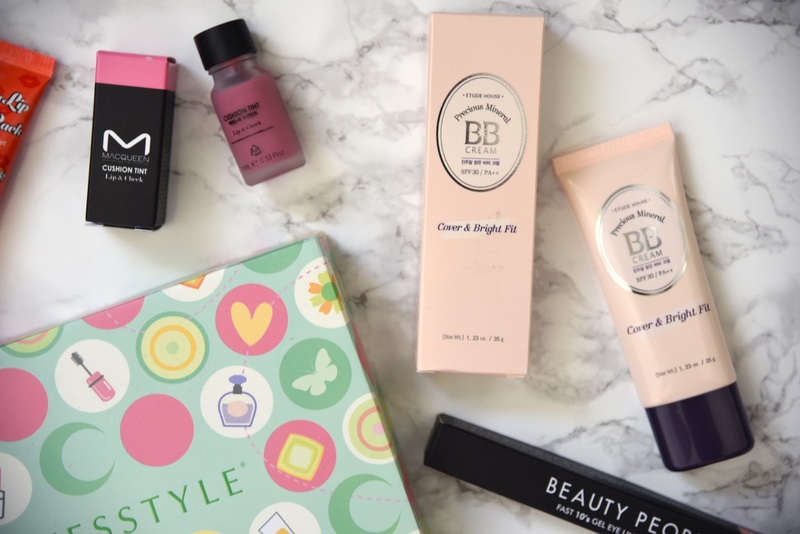 Have you tried any Korean Cosmetics? Korean beauty products are some of my favourites! They always looks so interesting :) I love those etude house eye patches, use them all the time really good!